Keep your chain lubed with the proper lubricant for your area. If you ride in Seattle, for example, you want a lube that will stay on in the rain. If you live near the beach, you want a dry lube so sand won't stick to it. To find the lube for you, go to a local bike shop and find out what the staff uses. People don't tighten their pedals often enough. It's a common cause of creaks and squeaks. Pedal wrenches exist for a reason. Nail polish is actually high-quality paint, and it comes in a huge variety of colours. More than once, I've wheeled my bike into Walgreen's and asked the ladies in the cosmetics department to help me pick a colour to fill in a scratch or scrape. They don't seem to mind. For years, our shop had no running water. Since I couldn't put a tube in a sink to find a slow leak, I'd inflate it and hold it against my cheek and turn it until I felt the air blowing on my skin. As long as I'd shaved that day, that worked pretty well. 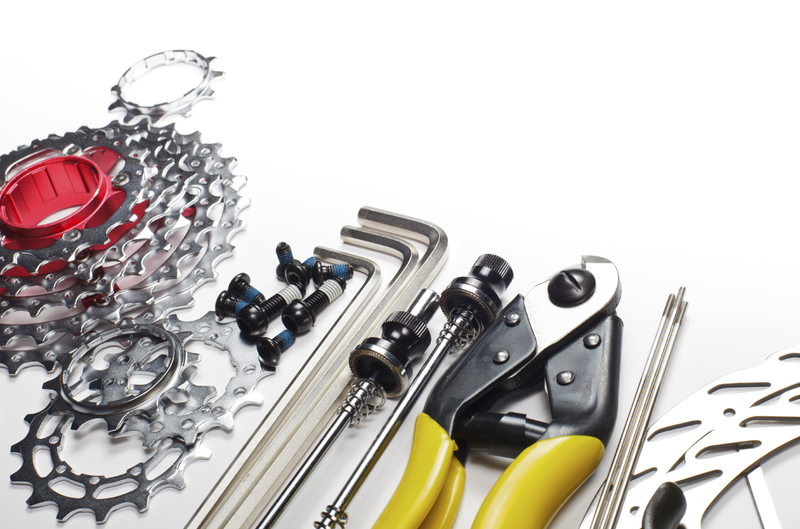 You should always bring at least a spare tube, a multi-tool and everything you need to change a flat. If you get in trouble, it's okay if you don't know how to fix the problem; someone in your group will help you. But not having any equipment tells them you're irresponsible. A lot of road bike riders try for an aggressive racing position, with the bar 6-10cm below saddle height. But that stresses your back, neck and shoulders. Racers spend thousands of miles each season adjusting to that aggressive position. Try moving the bar closer to level with the saddle for a more comfortable ride. As you put in more miles, you can move toward the more aerodynamic position. If you transport your bike on a roof rack, measure its height from the ground so you can check it against drive-through, parking-garage and bridge-warning signs. Nothing kills a ride like a trashed fork and a damaged garage or drive-through. Hang the rack-lock key from your rear view mirror to remind you there's something on top. if your bike has carbon wheels, be wary of excessive heat. On a hot day, the interior of a car's trunk can exceed 100 degrees. I had a bike with a carbon wheel, and once when I took it out of the trunk the rim slipped off--the glue had separated because it got so hot. I see a lot of people who, when they put their wheels back on their bike, just screw the skewer down instead of closing the QR lever. That's asking for a wheel to come loose—you'll never get an axle nut as tight as it can be by using the lever.